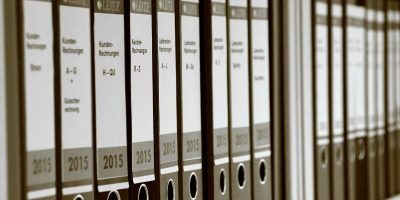 When you’re at home, it’s easy to hit the print option to generate a hard copy of any document you need to keep, but when you’re out and about, things are a little different. If you are in a coffee shop with your laptop and want to print something out, there’s little you can do but wait until you get home. Or what about if you want to print from a computer that does not have a printer attached to it, or you don’t have the drivers to share it on your home network? 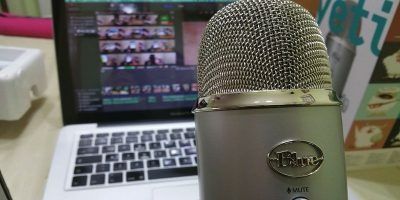 How can you print files remotely? This is where Google Cloud Print can help you. 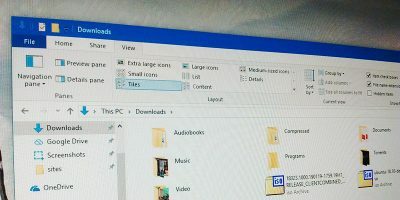 There has been an Android app and a Chrome extension available for a little while now, both of which make it possible to print to your home printer from anywhere with an internet connection. 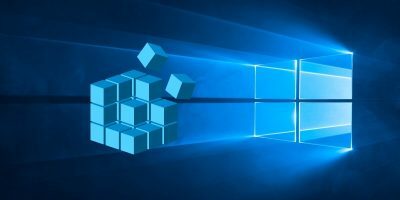 The very similarly named Google Cloud Printer is a Windows driver that brings the same option to almost any Windows application. 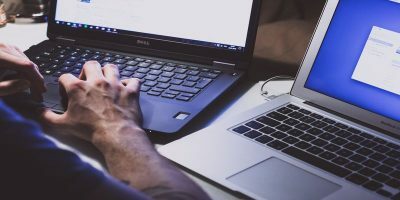 There are a couple of tools you will need to print files remotely – the Cloud Print service and the driver, and you will also need a copy of Chrome installed. 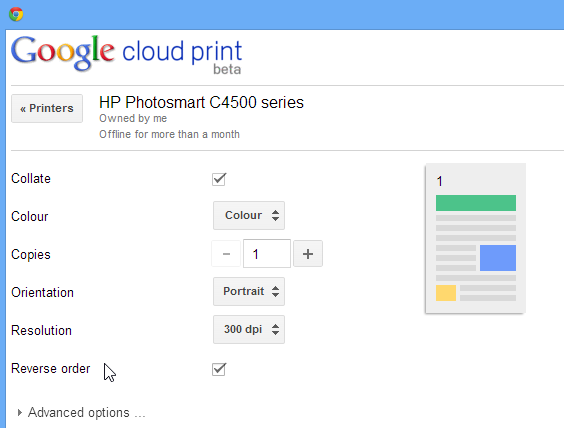 Start by visiting the Google Cloud Print Service page, and click the blue download button. Click the “Accept and Install” button and then click “Yes” if a User Account Control dialog appears. When the installation is complete, click “Close”. 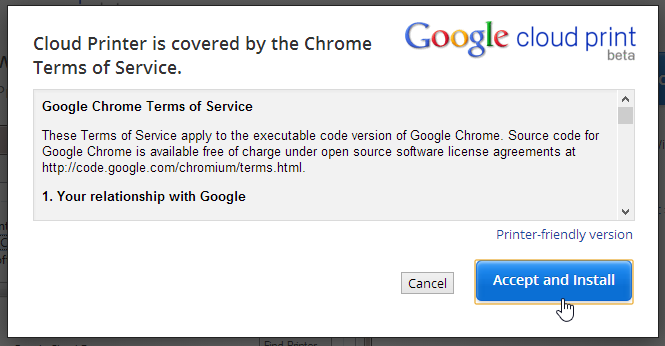 Now you need to link the service to your Google account. 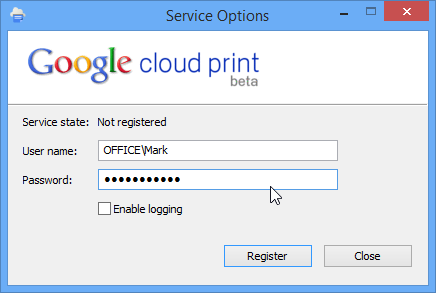 Bring up the Start menu or screen (depending on which version of Windows you’re using) and launch Google Cloud Print Service. 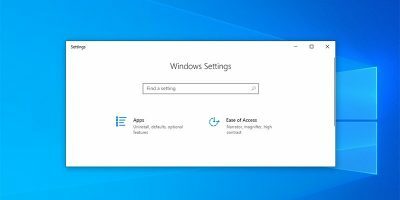 In the dialog that appears, enter the password you use to log into your Windows account – NOT your Google account – and click “Register”. Providing you have Google Chrome installed, the web browser will load automatically and ask you to sign into your Google account. 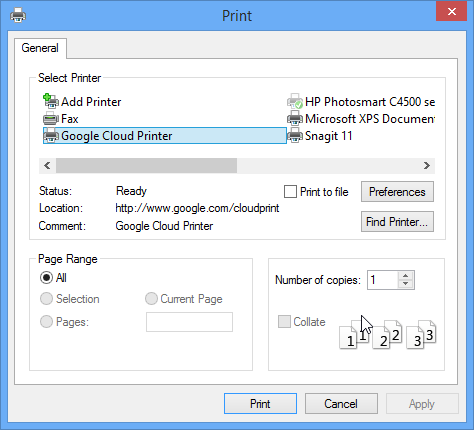 Once this is done, you can then link any printers you have connected to your computer to your Google Cloud Print account – just tick the boxes next to those you want to use and click “Add printer(s)”. Now you need to install the Cloud Print driver. 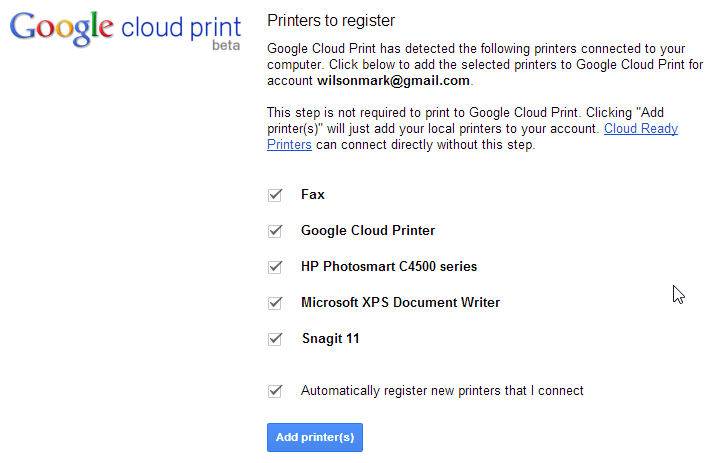 Pay a visit to the Google Cloud Printer website and click the download button to the right of the page. Click the “Accept and Install” button and then click “Yes” if a User Account Control dialog appears. The installation of the driver takes virtually no time at all, and a suitably congratulatory message is displayed when the process is complete. Click “Close” and you’re ready to continue. When you want to print a file, access the Print dialog just as you normally would. 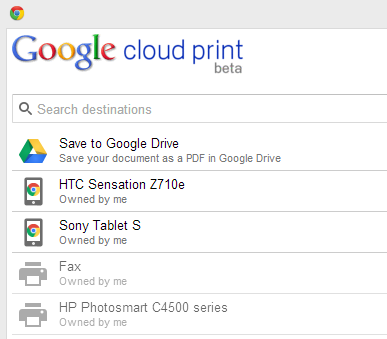 You will notice that there is a new “Google Cloud Printer” entry that you can select. 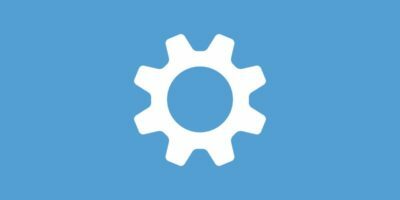 When you select the option to print, a Chrome window will spring into view, and this can be used to select which of your printers you would like to use. When you have selected a printer, you will then be able to choose the settings you’d like to use – it’s very much like printing as normal. Hit the “Print” button and your document will be sent off to your chosen printer. Mac and iOS users have always enjoyed the benefits of AirPrint. As the Cloud Print technology by Google matures, you can now print files remotely, regardless the devices and OS you are using. Can I use Google Chrome Portable? 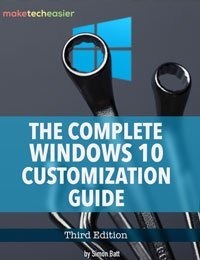 Don’t want to install the browser.